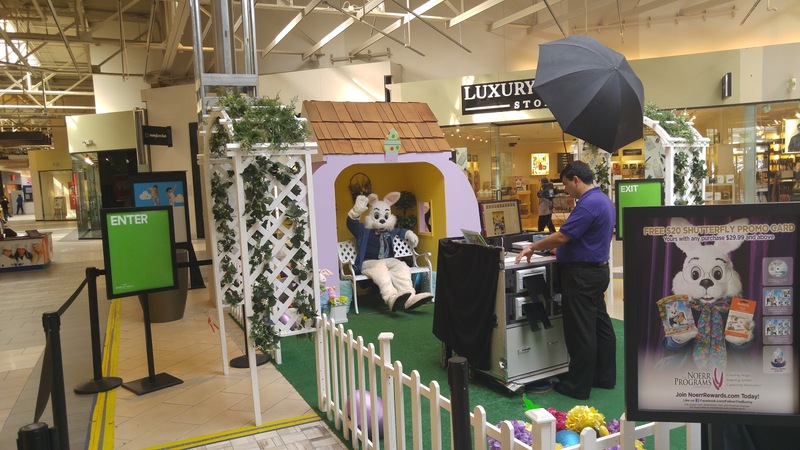 Meet the Easter Bunny at the Great Mall of the Bay Area! Easter is almost here! 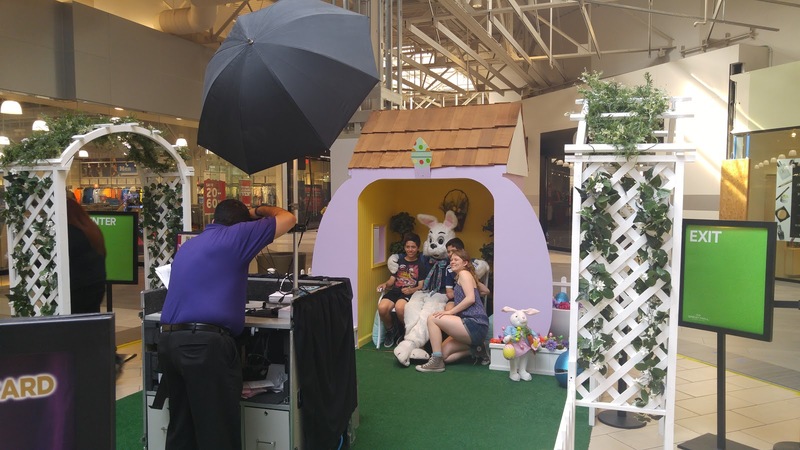 Avoid the Easter Sunday rush and get your photos taken with the Easter Bunny before April 18. 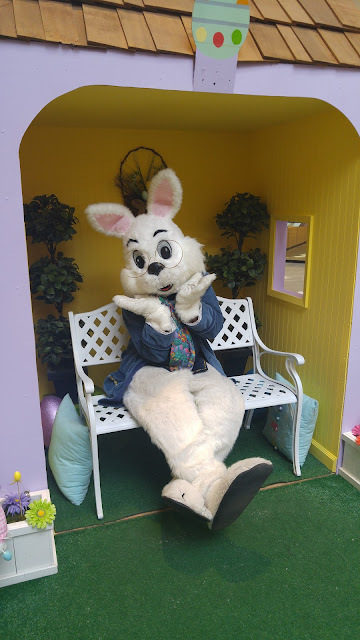 The Easter Bunny has taken up residence at the Great Mall of the Bay Area, and he's waiting to make friends with children of all ages -- including teens like my kids. It has been a while since the kids have posed for photos with the Easter Bunny, so when the opportunity arose to take some photos with the Easter Bunny, I jumped at the chance. You'd think my teens would be whining and groaning about it, but they more than game to see the Easter Bunny. To be honest, it's not like we need much of an excuse to visit the Great Mall of the Bay Area. Even though it's a bit of a drive from our home, we love going to the Great Mall because there are so many outlet stores with great prices, and they're all in one place, so I can get all my clothes shopping done in one visit. My teen boys actually ask me if they can go to the Great Mall to buy clothes! Their favorite brands like Vans and PacSun and UNIQLO and Adidas and Nike and Forever 21 are all here, as well as their favorite Filipino fast food restaurant, Jollibee. You'll find the Easter Bunny in the center court at Area 2 of the Great Mall of the Bay Area. His little spring hut is brightly decorated and the perfect setting for your family's Easter photos. You can choose from several print packages which range from $25 to $35, with add-ons like photo magnets, photo keychains, and photo CD. You can also select an all-digital package which consists of all your photos on a CD for $29.99. Each package comes with coupons for a free photo book on Shutterfly, and it's given to you in a cute shopping bag printed with images from the animated movie Sing!. Because we live in a digital world, I selected the photo CD package. I think it's the best deal of all because you get multiple poses (we got 7!) and all the rights to the digital images, so you can send them via email, post them on social media, or print them in any size you want. The cd includes a printout of the thumbnails of your images, which is very important, because this printout contains the id number of each pose. When I got home and loaded the cd onto my laptop, I discovered that I had been given a blank cd! This was annoying, as you can imagine, but thanks to responsive customer service and those all-important id numbers, I was able to contact someone and they were able to retrieve my images! I was so relieved and happy. I can't give enough praise to the Great Mall customer service team as well as the Noerr Programs Photography team for how they handled the whole thing. Despite that momentary glitch, all's well that ends well. How could I not be happy with these happy smiles?! 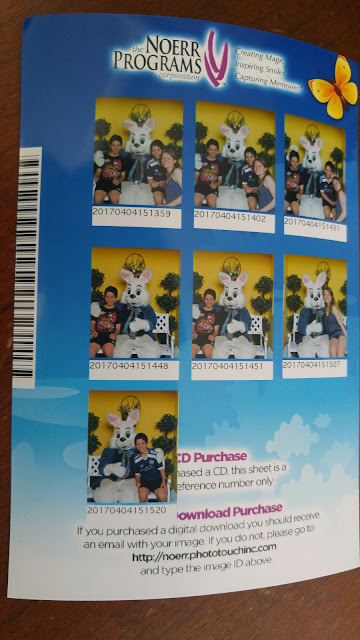 It has been a while since my kids visited the Easter Bunny, so it was quite the reunion. They were a bit too large to sit on his lap, but there was plenty of room on Easter Bunny's garden bench. The kids had so much fun hamming it up with the Easter Bunny. My favorite photo is this one, where they're all giving each other Bunny Ears! Disclosure: This is a compensated post. The views and opinions expressed here are my own.